I attempted to increase size on my c: partition by taking from the D: partition on SBS 2011 Server. Disk Director 10 launched and analyzed correctly and upon committing the changes requested a reboot. 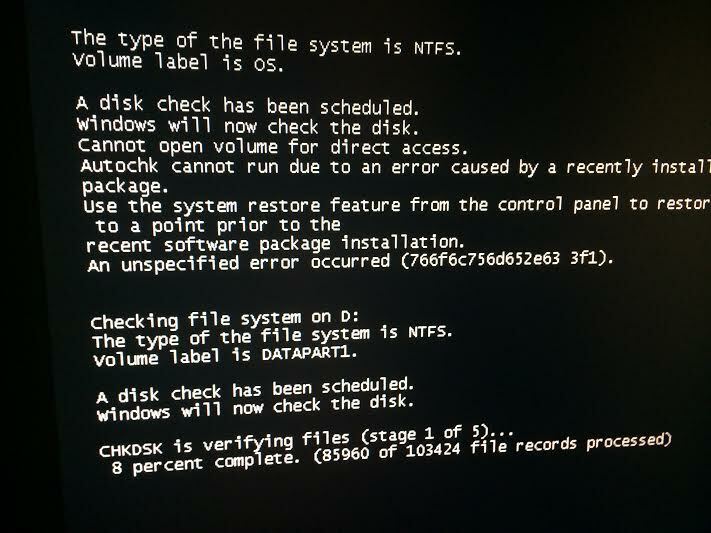 I allowed the reboot, but now SBS 2011 is not moving past the CHKDSK function. I have attached a screenshot. please be aware that Acronis Disk Director 10 doesn't support Windows Small Business Server 2011. I am wondering if you have any plans to release an upgrade for DD Advanced? It is a good product and I would like to use it, but it is really dated and does not support current OS. Our development team is currently estimating the project and will soon make a decision on the future of the product.